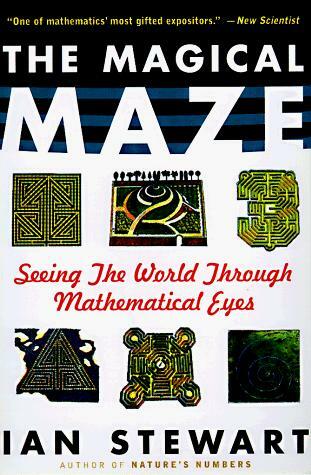 The perfect blend of reading and maths is a good maths book! I love reading – there is nothing better in this world than being engrossed in a good book. Now we have scientific evidence to support what many of us have long known to be true: reading develops not just your reading skills, but your maths skills too. So pick up a good book, and feel confident that you’re helping your trigonometry and algebra skills at the same time as enjoying a fabulous story! BBC News – Maths advantage for pupils who read for pleasure. 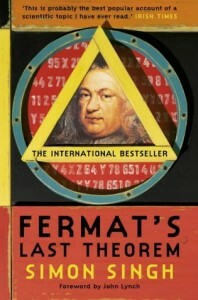 The first choice read for the Twitter Book #mathsbookclub, voted for by the twitter community, and to be reviewed in October 2013. Simon Singh is definitely the most readable of maths writers. He tells a story in such a way that really draws the reader in to the drama of the events, setting the context around the maths.